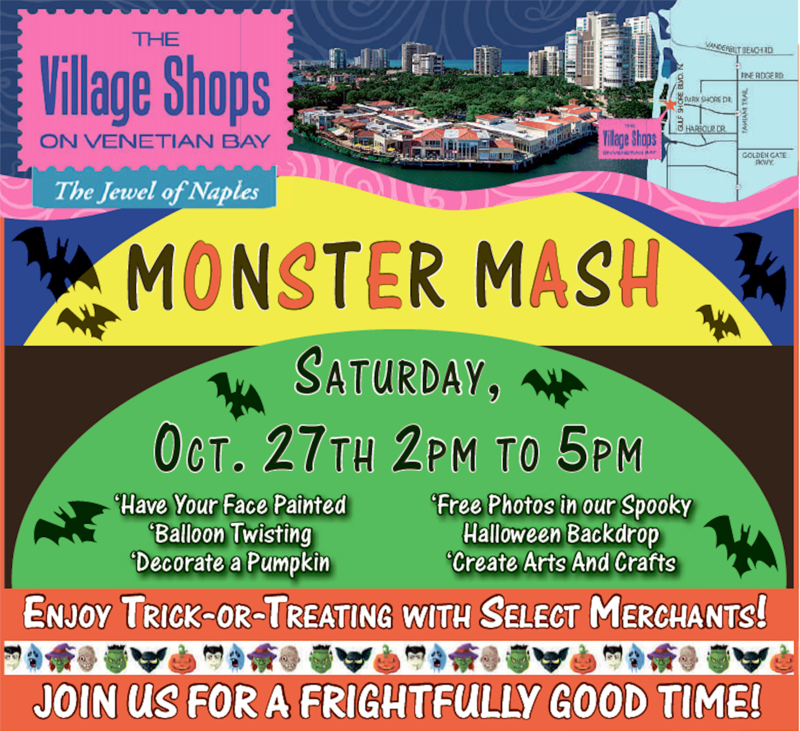 Monster Mash at The Village Shops on Venetian Bay! 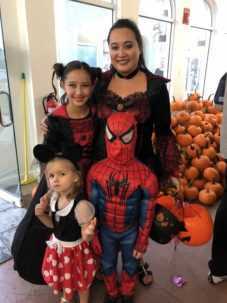 It’s the most spooktacular time of the year filled with costumes and candy! 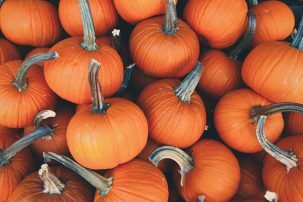 Gather your goblins, superheroes, princesses, and everything in between to enjoy The Village Shops’ annual Monster Mash. This Saturday, October 27th from 2-5pm. Join in on a family-friendly event that is fun for everyone! It’s all treats and no tricks as you make your way around The Village gathering candy from participating retailers. The entertainment continues with face painting, balloon art, pumpkin decorating, arts & crafts, and more! Once all the stops have been hit, a bag full of candy in tow, don’t forget to capture your boo-tiful memories at the photo booth. Share and scare friends and family with the complimentary printout and email photos, showing off your spookiest smile! 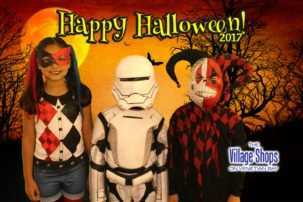 Celebrate Halloween early at The Village Shops and enjoy a frightfully good time!